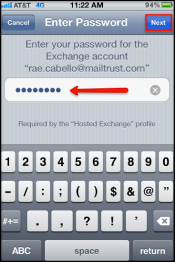 Note: The following guide applies to customer on an Exchange 2010 environment. 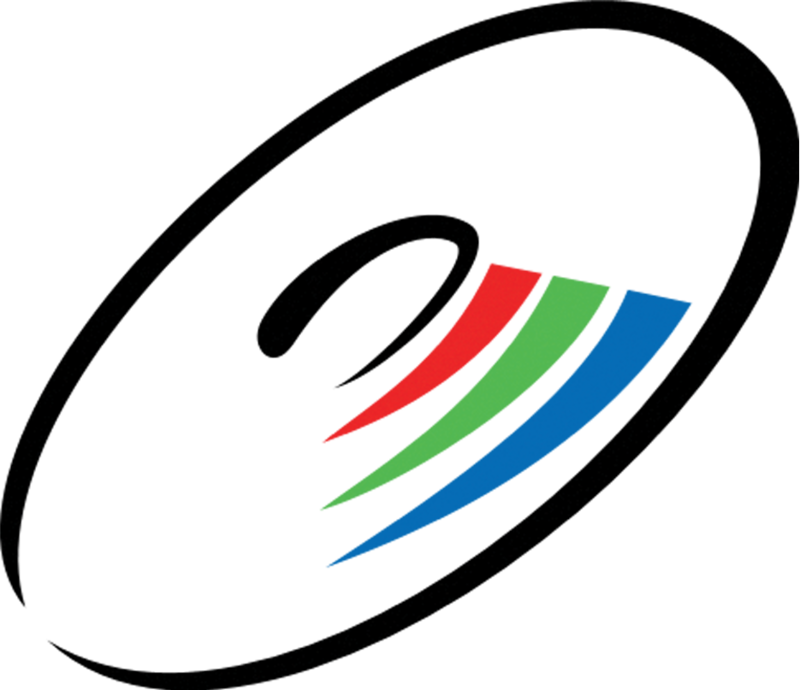 If you're unsure about what Exchange platform you're on, please contact your administrator. 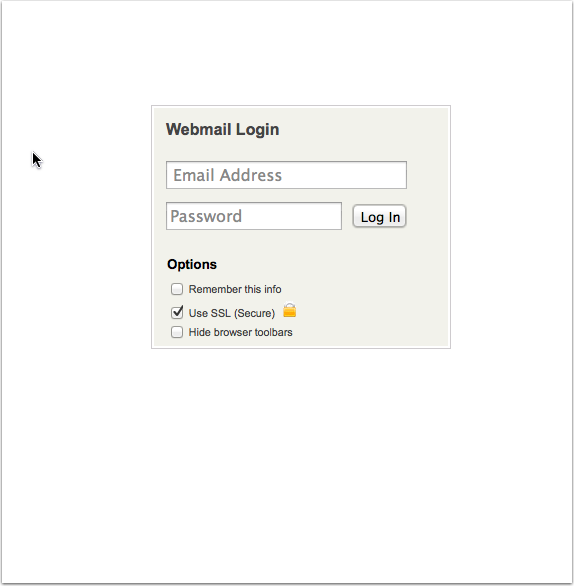 First thing you'll do is login into OWA https://webmail.digitalcanvas-hosting.com with your email address and password. 2. 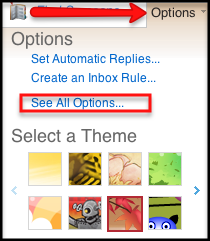 Next, in the top right hand corner select Options and then select See All Options. 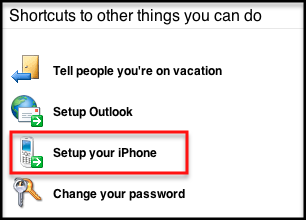 In the next screen, select Setup your iPhone under "Shortcuts to things you can do." 3. In the next screen, fill in the appropriate fields that apply to you and select Send. 4. 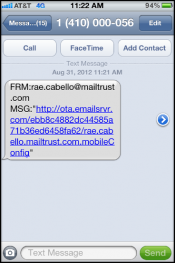 Next, You'll receive a text message with a link that you'll select. After you've selected the link from the generated text message, select Install and then select Install now. On the next screen, enter in the password for your email address. Note: if you have the passcode protection on your phone, you may receive a passcode notification to confirm the installation. 5. 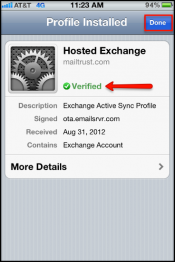 Your phone will begin the Verification process and you'll receive a Verified notification once complete. Select Done when when finished. At this point your email account begin syncing your mailbox from the server on your phone. The time length of this process can vary depepnding on how many days mail is syncing and your connection. 1. From the Home Screen of your iPhone, select Settings. In the Settings screen, select Profile. 2. 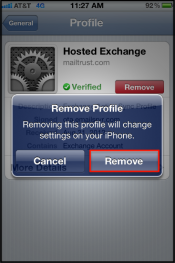 On the next screen you'll select Remove and then Remove again on the confirmation screen. Note: if you have the passcode protection on your phone, you may receive a passcode notification to confirm the removal of your account.